Move over yoga, it’s time to hand the mic to Pilates. If you think the only way to get strong is by slugging away at the gym and lifting heavy weights, think again. Pilates will give you long, lean, muscles, not to mention a pretty tight booty and some killer abs. It’s commonly used as a rehabilitation exercise, designed to repair your muscles while looking after your body. Say goodbye to injuries from crossfit. 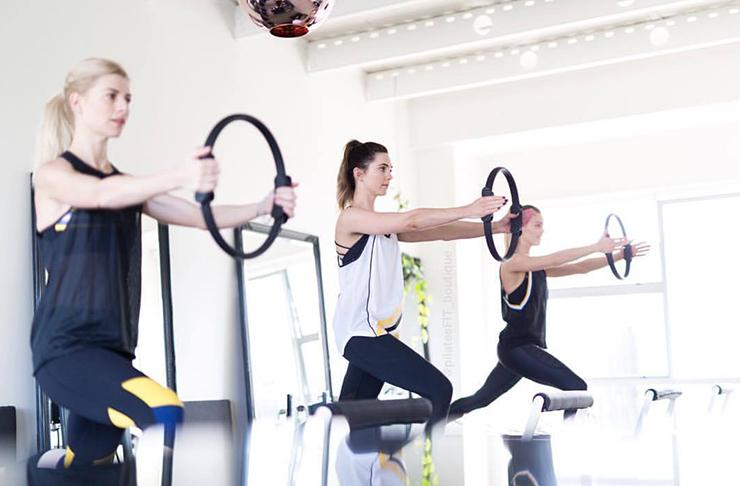 If you’re keen to get a banging bod’, and have fun while you're doing it, read below for Auckland’s best Pilates studios. K Cöre Pilates focuses on scientifically enhanced workouts, by retraining your biomechanics through functional activity. Classes are 45 mins long and will work pretty much every muscle in your body. Choose from beginner, intermediate and advanced level workouts. The best thing? It's right in the heart of the CBD, making it easy to attend the lunchtime session and if ya need to shower and change post-sweat. The amenities are b.e.a.u.tiful! No doubt one of the best Pilates studios in Auckland, Wild Pilates boasts a luxurious atmosphere, specialising in small group classes and private sessions. Choose between a reformer, mat or barre class and get ready to strengthen and lengthen your entire bod. What's more, the studio offers the renowned Stott Pilates Instructor training courses, so if you've always wanted to be a fitness instructor (but the hustle and bustle of the gym is too much) you can get qualified here. 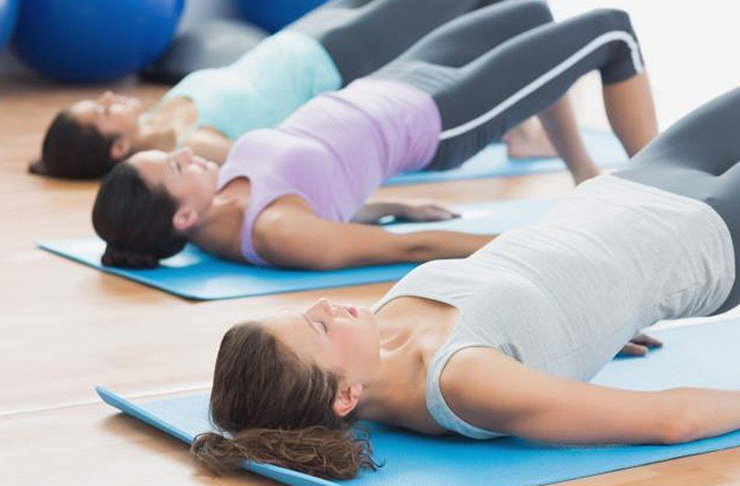 Peak Pilates has eight locations around Auckland and offers the widest variety of Pilates classes. There’s the standard mat and reformer classes on offer, plus spinlates, combo classes, stretch classes and even Pilates for kids, so you can get rid of your little sprogs temporarily. While you're there, why not pop-in and treat yourself to a massage or a little physiotherapy if you're in need of some crackin'. We knew we were in for a killer workout when we attended one of Chelsea Kawana’s reformer Pilates classes at her studio in Hobsonville. Let’s just say our body was sore for an entire week following this class. PilatesFIT Boutique classes are fitness based, with mat, mums and bubs, reformer, and reformer express on offer. Everything about the studio is glam, from the blacked-out reformer machines to the washed wooden floors. We're loving it. Movement Lab offers more than just Pilates—think of it as a fitness rehab centre, a way to try some new workout routines. The team offers one-on-one Pilates with physiotherapists, or group Pilates mat or reformer classes. Their classes are kept small to focus on technique and safety. Focusing on the biometrics of the body, you can also arrange a session with an on-site nutritionist to get in shape, ASAP. There’s something to be afraid of when Reform Fitness’ website quotes “it looks like torture and we’re not going to lie, there’s a certain element of torture involved”. The 55-minute class is a full-body dynamic class, based on the ‘isolate, fatigue, stretch’ principle. There are beginner and intermediate classes and, our favourite yet, over 65 ‘gold members’—perhaps give granny a pass for her birthday. Ponsonby's latest Pilates hub is nestled above the wonderful GoodFor Store on Williamson Ave. The boutique studio specialises in yoga and Pilates as well as a range of wellness events. It's really a match made in heaven—when you finish your afternoon sweat session with the wonderful team at I AM Studio, you can pop downstairs and stock up your pantry with delicious essentials. If you’re recovering from injury, or trying to prevent injury, then the Physio Pilates studio is the place for you. This studio embraces the characteristics of Pilates, and combines it with the clinical experience of its rehab team. The instructors will individually tailor exercises to suit you. We’re also huge fans of the old historic building. With only three to five people per class, you're bound to get that one-on-one treatment, and let's be honest, we love attention. 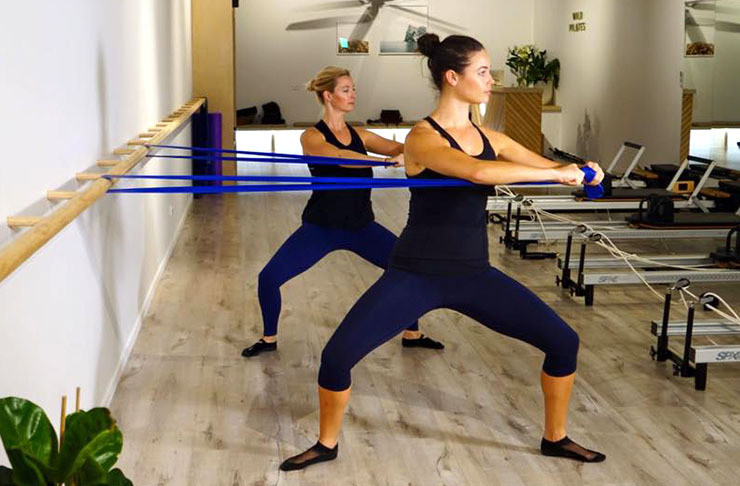 Nestled in the heart of Takapuna is the wonderful Kia Kaha Studios, specialising solely in reformer Pilates. The delicate space offers our favourite lemon and ginger tea pre or post session, and believe it or not, brings some funk into the studio! With upbeat music playing throughout, the instructors try to get to know their clients. FYI: This means no shortcuts. So if you're trying to 'misplace' that Pilates ring, there's no chance.